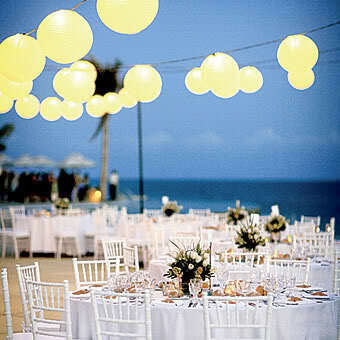 These days, more and more weddings and other occasions are using led light bulb for paper lanterns. Paper lanterns add some uniqueness to your party and it may come in various shapes and colors that can actually match your party. If you'll just search online you can find heaps of tutorials on how how you can make your own paper lanterns and how to put led lights in them. Aren't they cute?